The St. Johnsbury Country Club is an 18-hole golf course, located on Memorial Drive/Route 5 North in St. Johnsbury. It is a semi-private course, but its course and restaurant are open to the public. The course, designed by two of the most respected course architects of their time, is beautiful but challenging and is considered one of best courses in the state. Recent renovations were made to the dining room and club room, kitchen, downstairs bathrooms and included better handicapped accessibility to outdoor porch, function room/indoor screened porch, dining room and club room. The St. Johnsbury Country Club is an 18-hole championship golf course that has the reputation of having flawless greens, lush fairways and well carpeted tees. What is known now as the "Front Nine" was designed by Willie Park and his brother, Mungo Park, in the early 1920s. Park, an internationally recognized golf course architect, designed hundreds of courses thoughout the world, but the St. Johnsbury Country Club has the unique distinction of being the last one he ever designed. Park was a two-time winner of the British Open. The "Back Nine" was designed in 1992 by famed golf course designer Geoffrey Cornish, assisted by lifelong St. Johnsbury Country Club member Jim Havers. The maturity of the original nine holes and the state-of-the-art new holes blend together to produce two distinct golf experiences that complement each other. "While the Front Nine requires finesse, the Back Nine demands power." Master the golf course at St. Johnsbury Country Club as a member of one of the county's finest golf facilities. With multiple membership options to choose from, it has never been quite so easy to enjoy the best golf experience around. No Green Fees. A nominal user fee per round to assist in retiring the debt incurred for the back-nine expansion. The St. Johnsbury Country Club features a fully stocked Pro Shop, with the low-price guarantee on all the new Titlelist, TaylorMade, Cleveland and Ping clubs. The Pro Shop is fully stocked with the lastest equipment and clothing from the top manufacturers in the golf industry, for both women and men. Our professional staff will assist you in selecting the product that is right for you. Consider the St. Johnsbury Country Club for tournament prizes or tee gifts when planning your next outing. The St. Johnsbury Country Club has a driving range available to all golfers that is maintained to the same meticulous attention of the golf course. It offers both a practice range and a short-game facility. Professional instruction is available. 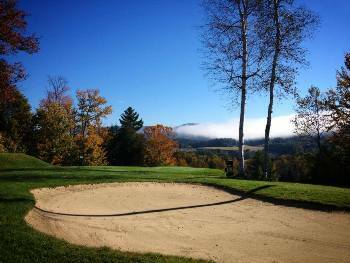 OPEN: The St. Johnsbury Country Club opens in April and closes at the end of October. 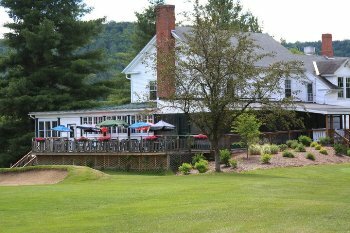 The St. Johnsbury Country Club features a full-service restaurant and lounge, with full bar. The restaurant is open for lunch and dinner. The restaurant is open to the public and available for all types of functions and golf tournaments. The restaurant is open from May 1 to mid-October. 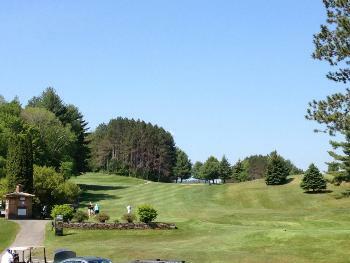 St. Johnsbury Country Club/The Greenside Restaurant has been added to your trip.